"Creep!" 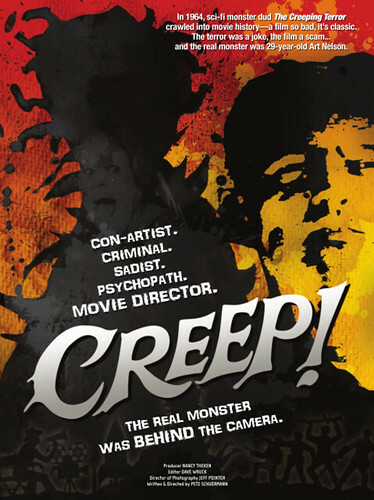 - A documentary on "The Creeping Terror"!!!!! Question is...is this another money making "con"? I mean, Twitter? Merchandise? "Donate"? WARNING!!! - Just checked out their YouTube page and it has other clips from the film...including interviews with Harry Knowles!!!! Govern yourselves accordingly.